After a flopping Amazon Fire Phone performance, Amazon is deep in the red. According to the company's third quarter earnings report its losses have increased to $544 million (about £339m, AU$621m). That's 20 times the losses compared to last year's $25 million (about £12m, AU$22m) operating loss. The major contributing factor for this is undoubtedly Amazon's recent unsuccessful experiment with the Fire Phone. 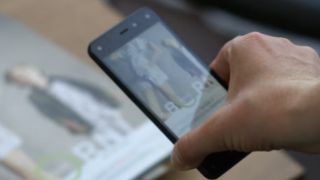 Amazon Chief Financial Officer Tom Szkutak noted that the company took a $170 million (about £106m, AU$194m) hit stocking and selling the unpopular phone. Amazon also has $83 million (about £51m, AU$94m) worth of Fire Phone inventory in its warehouses. Amazon has also invested into the development of new products including the Fire TV and Kindle Voyage and a new Amazon Dash barcode reader. Not to mention that giant load of cash it dropped on its recent acquisition of Twitch for $970 million (about £605m, AU$1.1b). Despite this massive operating loss, Amazon's net sales saw a 20% increase with revenue amounting to $20.58 billion (about £12.83b, AU$23.49b) in this third quarter. Despite these numbers, it's still less than investors were expecting. The big take away from Amazon's earnings is we're likely not in for the Fire Phone 2 anytime soon. Given that critics panned the handset and consumers were lukewarm on the device, the likelihood of another Amazon Phone isn't looking good. Will Amazon's next big thing be wearables and smart home gadgets?